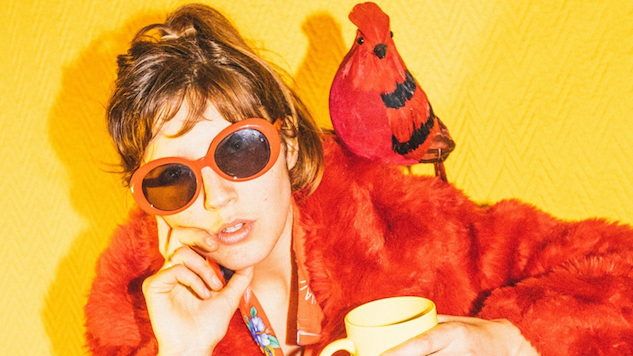 Caroline Rose got stuck going through that awkward phase in high school and loved it so much she decided to never leave. Her new single “Getting To Me” is the third release off her forthcoming second album Loner, which is set to release Feb. 23 via New West. Rose’s previously released tracks “Money” and “Soul No. 5” present the artist in her naturally whimsical state. In “Money,” the artist showcases the seductive lifestyle of chasing cash, with Rose herself playing these fantastical characters in a multi-role performance. In “Soul No. 5,” Rose is a playful badass dancing on the pier, rolling around in the sand and hula-hooping with her girlfriends without giving a damn. “Getting To Me” is one of my favorite songs on Loner because it transports me to the moment when I wrote it, it’s a song about feeling extremely isolated and lonely. I remember walking down the street during a Vermont winter, seeing couples lining the entire block, walking hand in hand under the Christmas lights. I popped into a restaurant and went straight to the counter. For anyone who spends a lot of time alone, counters feel like they were designed for us so that waitresses don’t have to discard a setting at a table set for two. When you’re already feeling like an outsider, you really start to notice things like that, things in even numbers designed for couples. The song is filled with references to feeling like an outsider. Rose provided the string arrangement for this track, which also features percussionist Paul Butler, her Loner co-producer. She will be on tour starting Friday, March 2, in Woodstock, N.Y. You can preorder Loner here before it releases on Feb. 23. Listen to “Getting To Me” off Rose’s forthcoming album below, and find the album artwork and Rose’s upcoming tour dates beneath that, plus a 2013 Rose performance from the Paste Cloud.